Saida is an app that helps people get approved for short term loans based on their activity on their phones. It gives you access to fast and convenient loans to your M-pesa or Airtel Money. Unlike other products, you are required to have saved before requesting a loan. Use mobile money services such as M-pesa, Airtel Money at least once every two days. Make and receive calls, sms and data services on a daily basis. Have an income that is enough to pay back tour loan and your living expenses. Have the financial discipline of saving, investing and paying your obligations on time. If you are approved, you can request a loan and Saida will send your loan to your M-pesa or Airtel Money. You can pay back in installments or all at once within the time given to you. If you are no approved, Saida will explain to you why and tell you when you can re-apply or what you can do to get approved. 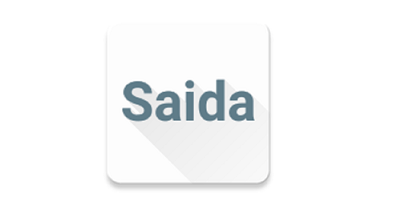 Download and install Saida app from Google playstore. Fill in your mobile number to request for an invitation. NB: invitation could take 3 – 7 days for approval. Create a Saida account and answer a couple of questions so that Saida gets to know you. Saida will check how you have been using your phone to make calls, sms, and data and how you use mobile services such as M-pesa and Airtel Money. Saida will notify you of the amount of money you can apply for. Then the loan is sent to your account immediately and an explanation on the repayment terms. Minimum loan amount is Kshs.600 while the maximum loan limit is Kshs.100, 000. Repayment duration is 30 days. Your loan limit will start at a lower amount and improve as you pay back on time. Loan interest rate is between 7.5% and 10%. The rate you get is tailor made for you, so each customer gets a different rate. Loan disbursement mode is via M-pesa or Airtel Money. Some of the advantages of Saida are: no paper work, no queues or questions that banks ask. Just download Saida app anytime anywhere. If they can offer a loan, they communicate it within an hour and if they cannot, they explain the reasons why. Disadvantages: their interest rates are a bit high and therefore not advisable for large loans. Their interest rates differ from one customer to the next and hence you cannot calculate your loan interest beforehand. Not recommendable to someone who wants a large loan due to their high and unpredictable interest rate.